No matter what your level of understanding of competencies are, we’ve brought together a range of resources to help you. From an explanation of what a competency is, to an in-depth look at competency assessment methods. You’ll also find samples to help you on your way. If you don’t know what a competency is, the is a good place to start. It explains the difference between technical and behavioural competencies. See more. 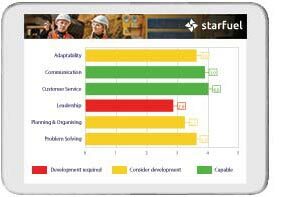 Once you’ve read our article explaining competencies, you might want to see some samples. You can find some easy to read samples here for different roles. See more. If you have a basic understanding of competencies but are unsure whether you should be using them, we’ve explained seven ways they benefit companies. See more. A look at how competencies are assessed and who should assess them. See more. Once you know how competencies are assessed, this article explains how a typical competency assessment process works. See more. If you are conducting a competency assessment, this article shows you how to formulate your review comments. See more. Competency management ensures that organizations are staffed with people capable of carrying out its strategic plan. What, how and why do you need it? See more. Explains what should be included on a competency assessment form and provides a sample template. See more. Explains the meaning of competency assessment tool. Describes the essentials you should be looking for. See more. An easy to use and comprehensive online system for competency assessment and management. See more.